Rosedale is hiring ALS Providers! 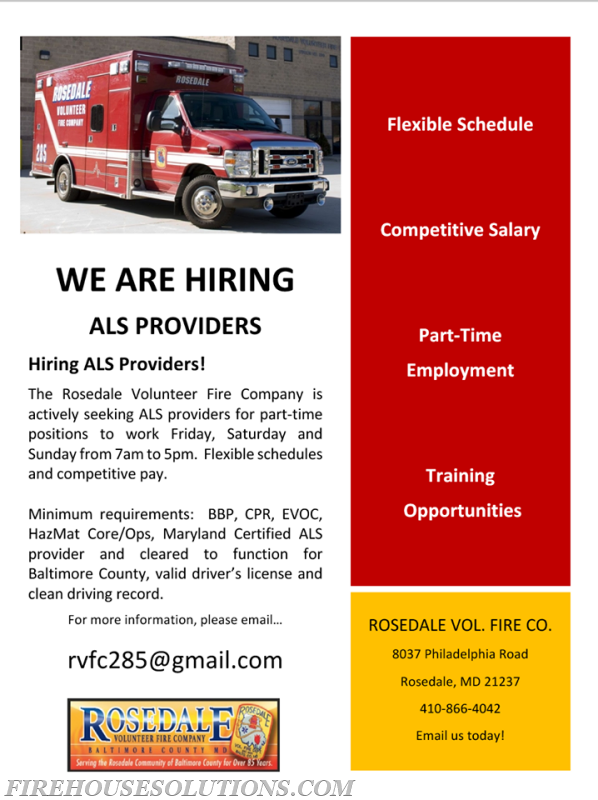 The Rosedale Volunteer Fire Company is actively seeking ALS providers to work Friday, Saturday and Sunday from 7am to 5pm. Hours are flexible and pay is competitive. Minimum requirements are: BPP, CPR, EVOC, Hazmat Core/Ops, Maryland Certified ALS provider and cleared to function within Baltimore County, valid driver’s license and clean driving record.